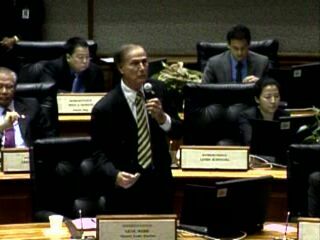 February 4, 2014 February 4, 2014 Hawaii House Minority Representative Gene Ward Ph.D. Passed Third Reading with Representative(s) Aquino, Awana, Cullen, Fale, Fukumoto, Har, Kawakami, Matsumoto, McKelvey, Takayama, Tokioka, Yamane voting aye with reservations; Representative(s) Hanohano, Jordan, Oshiro, Ward voting no (4) and Representative(s) Say excused (1). Transmitted to Senate. 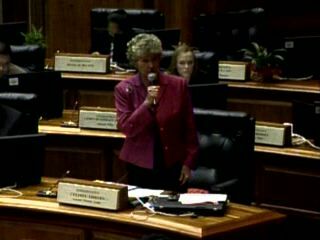 Passed Second Reading as amended in HD 1 and referred to the committee(s) on WAL with Representative(s) Creagan, Ing, Johanson, Lowen, Matsumoto, McKelvey, Morikawa, Oshiro, Rhoads, Ward, Wooley voting aye with reservations; Representative(s) Hanohano, Thielen voting no (2) and none excused (0).